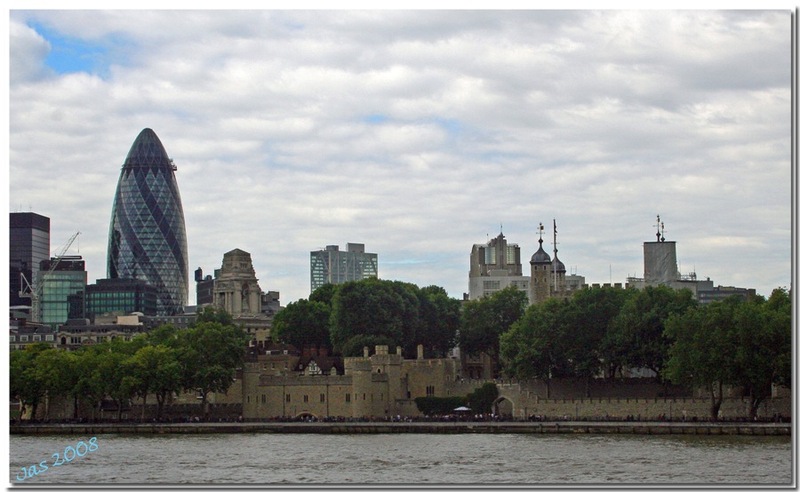 This photograph, of The Historic Tower of London and the surrounding skyline, including the ultra modern 'Gherkin'(building shaped like a torpedo), is what came to mind when "The Winds Of Change" was suggested for the current competition. Architecture, has evolved over centuries and skylines all across the world change constantly; some more slowly (in a gentle breeze) and others more quickly and dramatically, like the gusting of the wind. An interesting image, the old with the new. An interesting architectural/skyline shot Jas, especially viewing the larger version. Enjoyed reading your description. I was interested and curious about the name Gherkin building because of Gherkin pickles so did a google search on it and found that in December 2005, the building was voted the most admired new building in the world, in a survey of the world's largest firms of architects, as published in 2006 BD World Architecture 200.